A photo blog dedicated to a local Goan's view of his beloved Goa. Watch the different aspect of goa thru photos. All goa photos here are taken with my own hands. The Shri Pandurang devasthan, Murlidhar temple and Shri Datta mandir are the tree main devasthan in Sanquelim town, which is located on the banks of the river Valavanti. On one side of the river bank Shri Pandurang temple is located while on the opposit side, some metres away the mandir of God Shri Datta is located. To the either sides of the mahadwar stand beautiful Ashwath trees. The temple has big mandap, garbhagruha and a chawk. In this temple of Sanquelim the idol of Shri Datta is three headed with six hands seen on the high seat. On the lower part of the sasana another panchdhatu idol of Shri Datta with single head is placed. This idol is known as Utsav murt. At this devasthan any religious ritual or performance is held under strict discipline and also of taking darshan of Shri Datta. Devotees usually ring the bell when they enter in the temple before taking darshan of the deity. But this devasthan is an exception to it. There is no provision for ringing bell. The devasthan is a model of discipline, peaceful atmosphere and in addition the natural beauty make the special feature of this devasthan. Sanquelim is famous for its temples. It has four major and many small temples. The four famous temples are Shri Radha Krishna, Shri Datt Maharaj, Shri Pandurang and Shri Rudreshwar. 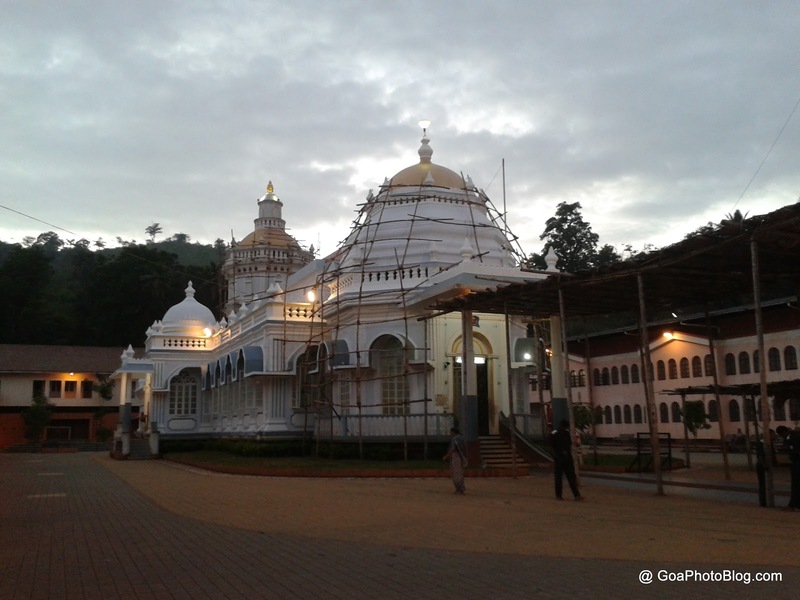 The Shri Rudreshwar Temple is situated at Aravalem, just by the scenic Aravalem Waterfalls. It is dedicated to Lord Rudreshwar, an incarnation of Lord Shiva. It is the site of the annual "Shivratri Zatra" which draws thousands of people. 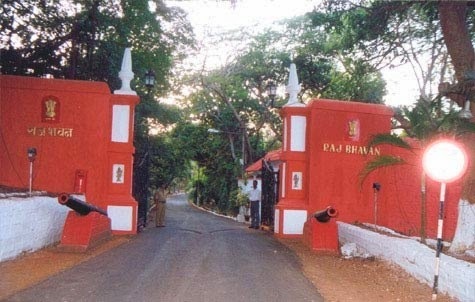 The Cabo Palace Rama Raj Bhavan: The Cabo Fort is known severally in the modern times as the Cabo Fort, Cabo Palace, Cabo Raj Niwas and even Raj Bhavan. Currently the house of the Governor's house, it used to house the Viceroy in Portuguese India. Built in around 1540 AD opposite Fort Aguada on the south headland of the river Mandovi, the Cabo ('cape' in Portuguese) Palace fortress housed the Franciscan monastery, which later (1594 AD) became the official residence of the Governor of Goa. The exact date about the first construction of the fort is not known but in a recently discovered note dated 30th June 1541, there was a proposal to locate a Franciscan priest at the chapel, which already existed. In 1540, the eighth Governor, D. Estevao de Gama, proposed the idea of constructing some fortifications at the mansion site to guard the entrance to both the Mandovi and Zuari rivers. Slowly, over the years, the Cabo Fort was converted into one of the best equipped and important fortresses. A small Chapel was constructed at the end of the mansion, and was dedicated to Our virgin lady of The cape (Nossa Senhora do Cabo). The foundation of the monastery was laid started of on 5th February 1594 by Bishop de Santa Maria and was completed within the period of six months only, exactly on 14th July 1594. The Cabo Fort was constructed with laterite stones available at the site. The pits formed from the extractions of these stone were then covered to form cisterns to which rainwater was carried via the sloping roofs of the buildings - thus providing excellent storage tanks for water. 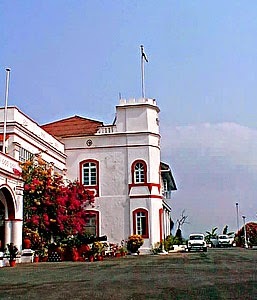 The Cabo Palace is now known as the Raj Bahavan (the official residence of the Governors of the States in India). It is also among the finest of the Raj Bhavans and also the oldest - as no other residence of a Governor of a State in India had its origin to over four hundred years in the past. The official reception area consists area consists of a large hall called the Darbar Hall, used at the time of receptions and swearing in ceremonies and other official occasions. The Dining room has a seating capacity of over 30 persons. The living quarters of the Governor and his family are on the same floor. A glossy verandah runs along the entire portion overlooking the Mandovi Bay and the Arabian Sea giving one a feeling of being on a ship's deck. There are three suites and seven double rooms for guests. The offices of the Governor, his secretariat and staff are located on the ground floor in a separate annex. The Raj Bhavan has a fine collection of Bohemian chandeliers, Chinese porcelain, silver and furniture. The most remarkable are the pieces of antique Chinese porcelain presumably manufactured in Canton. There is also a worn-out set of crockery having a similar design with same coat of arms. All these had been specially ordered for the use of the Portuguese Governor General. There is also an excellent collection of high quality wooden furniture with exquisite workmanship. A set of intricately carved chairs are simply remarkable for the fact that Hindu Gods and Temples have been carved on them. In the later centuries complete harmony between Christians and Hindus was very evident in Goa. A short distance from the regional town of Bicholim, along the road from Mayem Lake, is the village of Sanquelim. This is the place where the colonial government settled its Rajput mercenaries (known as the 'Ranes') in the mid-1700s and where the same mercenaries staged their successful uprisings during the 19th century. Of interest near Sanquelim are the Arvalem Caves, about a mile from the south-eastern end of Sanquelim. A short 10-minute drive from the caves, the Harvalem Waterfalls are worth visiting after the monsoon (in October) when they cascade noisily through the surrounding trees, but through the dry winter the flow is reduced to a trickle. This waterfall, which cascades down from the mountains from a height of 50 metres, is not as awe-inspiring as the Dudhsagar Waterfalls spectacle, but is interesting all the same. This waterfall is set amidst charming surroundings, with the Rudreshwar temple in its vicinity. The temple holds importance for the Hindus who believe in releasing the soul on the 12th day after death. The Rock cut caves are just situated nearby. The Government has also developed a park from which the view of the waterfall can be peacefully relished. Sanquelim can be easily reached by bus from Mapusa (about 2 hours), but you will have to walk for about half an hour or take a motorbike taxi to get out to the caves or the falls. Fry the chapati when the pan is hot. The cobbler's gaze is on the feet. You cannot swallow hot milk, nor can you throw it away. North of Arambol, the sinuous coast road climbs to the top of a rocky, undulating plateau, winds down through a swathe of thick woodland and joins the river Arondem, which it then follows for 4 kms through a landscape of vivid paddy fields, coconut plantations and temple towers. 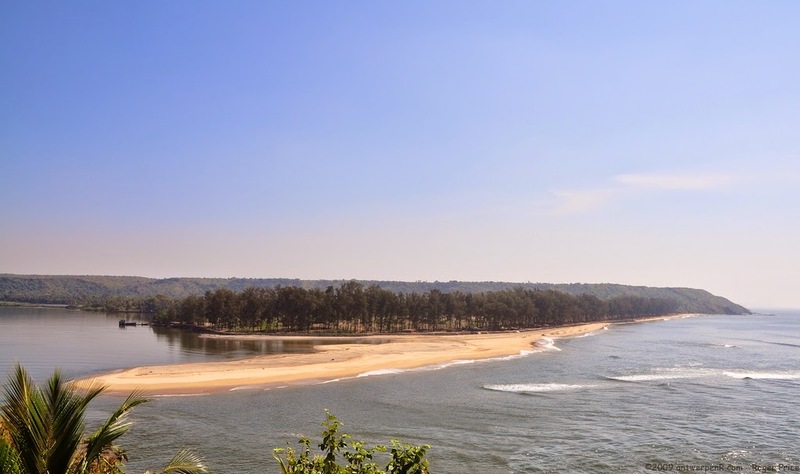 The tiny enclave of Terakol, the northernmost tip of Goa, is reached via a clapped-out car ferry from the hamlet of Querim, 42-km from Panjim. The Terekhol Fort once belonged to a local raja and was taken over by the Portuguese in 1746. 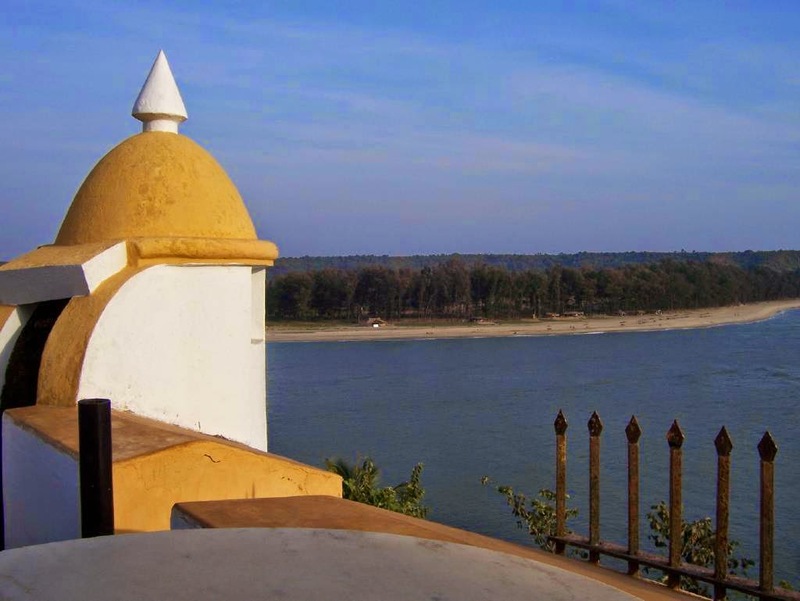 It was used as a base for freedom fighters during the liberation of Goa in 1961. The Terekhol Fort was a key Portuguese fort for the defense of Goa, on the north side of the estuary of the Teracol River, the northern most boundary of Goa. Within the fort there is a chapel - St.Anthony's church - which is locked most of the time. The Chapel has a classical late Goan facade and is opened only on special occasions. From the battlements one can look across to Querim Beach. To cross the Tiracol River takes twenty minutes on an ancient Goan ferry operates every 30 minutes. The Terekhol Fort has now been converted into a Heritage hotel. A couple of months back I was searching for good photos about Goa and for whatever reason i could only spot only a few sites and photos which had been put out by real goans out there. The rest of the goa photos were merely linked to travel websites or people wanting to sell properties in Goa :-). That was the reason for setting up this blog. An amateur photographer by creed – perhaps sparked when i first bought a good camera – am 8MP Nikon , i decided to put up photos taken randomly in Goa. Watch beautiful Goa through my eyes. It’s beautiful Goan Churches, Goa beaches, Goan Temples , etc and the various other aspects of goa such as Konkani, Konkani music, Goa music, Goa Culture, Goan Heritage, Goa carnival, Goa Festivals, Goa dances, vacation in Goa, Goa Holidays. Goa Photo Blog | Goa Blog - Copyright Amey Kantak. All Rights Reserved . Powered by Blogger.